- Surfing Australia qualified SUP Instructor. - Senior First Aid and Resuscitation. - Current Working With Children Check. Congratulations! Your search is over. ​You have many fun ways to enjoy Stand Up Paddle and the river with Sunset Stand Up Paddle - Perth. 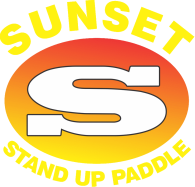 With the everyday stresses of life causing more and more problems for us all, now is the perfect time to take a break, have some fun on the water and enjoy life, with Sunset Stand Up Paddle. We offer a variety of options for our customers. You can book lessons, hire boards, enjoy group bookings or even purchase the perfect gift for a loved one with our easy gift vouchers. We aim to use Stand Up Paddle as a medium to provide people the opportunity to develop fitness, socialise with like-minded people and participate in an unique outdoors experience. Our focus is on having a great time, enjoying life and improving fitness. We are a Stand Up Paddleboard company that provides lessons, rentals and gift vouchers to the public and organisations. Established in 2014, based in Perth, Western Australia, we are dedicated to providing quality experiences to our customers. At Sunset SUP Stand Up Paddle we believe your safety comes first. In the event that poor weather conditions cancel your lesson or session , you will be contacted prior the lesson. Another lesson will be rescheduled in its place. We appreciate your understanding that though rare, some lessons get cancelled and rescheduled due to poor weather. We are an alcohol and drug free company. Call Mike on 0409 666 653. He will be happy to answer any questions you have. All lessons, cardio sessions and rentals are by booking only. This can be done via this website (purchase page), by contacting info@sunsetsup.com.au or calling Mike on 0409 666 653. If there is no lesson booked, no one will be at the Shelley Beach location. Cancellation policy: If you need to cancel and re-book a lesson/session, you must do so via info@sunsetsup.com.au or mike on 0409 666 653 at least 24 hours before your lesson/session. Running late: If you are running late for a session please call Mike on 0409 666 653 to let him know. Arrangements can often be made if you are running late and Mike is aware of it. Please try to be at Shelley Beach 10 minutes before your lesson is due to start.